I generally enjoy playing WoW. That being said, there are a few… issues I’ve been having lately. Yes, it is sometimes annoying to get the “No more instances can be created message” but that doesn’t cause seething hatred in the cockles of my heart. Nor does ganking, nor Death Knights constantly being nerfed, nor even the guy in Vent that turns his speakers up really loud so that whenever anyone else talks you get this annoying echo effect. 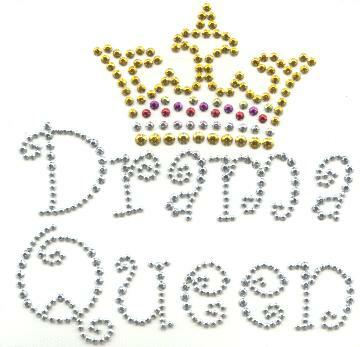 What fills me with rage is drama. Well, we’re running our mid-week Ulduar 10-man and we’re clearing out Freya. I vaguely remember there being some in-game chatter about who has herbalism blah blah blah okay let’s go kill stuff. Well, we clear the whole area (because we don’t want to do hard mode, mmkay) and right before we’re getting ready to pull Freya, the Shaman/healer/Guild Master leaves the raid group, immediately disconnects from Vent, and goes offline. Everyone is shocked for a few seconds as we wonder if his connection blew up, or maybe evil Nazi super-scientists teleported him to the black sun dimension, or what. Then, someone in vent says, “If he wants the 3 Frost Lotus, I’ll give it to him. It’s really not that big of a deal.” Wait, what? At this point I should explain that the core of this guild is a group of IRL friends. The GuildMaster is actually more of an officer, and the real guild master, the guy that organizes raids, determines who can join the guild, grants forum access, is really a great guy, fun to play WoW with and in all respects is pretty cool. If the GuildMaster were actually the guild master, I suspect a large amount of the guild population would’ve been looking for new guilds at this point. In the meantime, the raid has ground to a halt, and I’m suddenly NOT getting any closer to getting my Tier 8 gloves. And this is what bugs me. It’s one thing to be pissed about something, and it’s another thing to be pissed about something so inconsequential. It’s entirely another thing to leave people hanging because you want to go have a cry-fest over some stupid herbs. This is playground-level of getting pissed. Buck up, little camper! If losing 3 Frost Lotus is enough to send you into a fit of rage, just wait until your mom kicks you out of the basement.